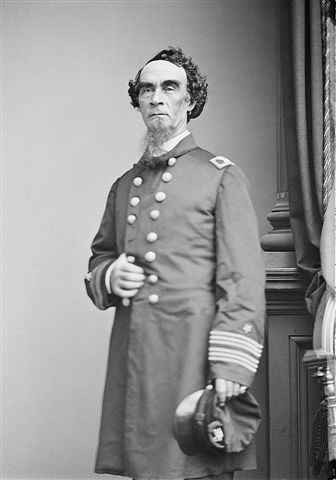 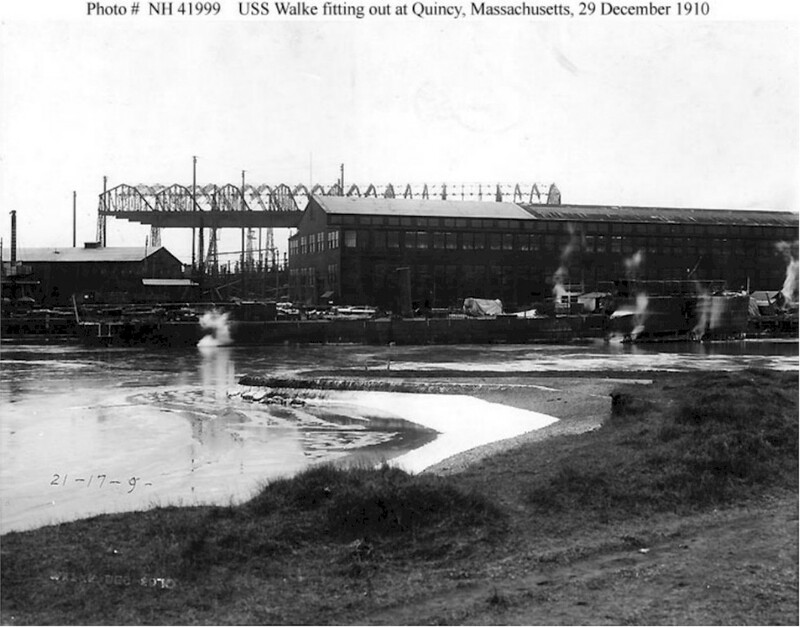 Laid down by Fore River, Quincy on March 5 1910. 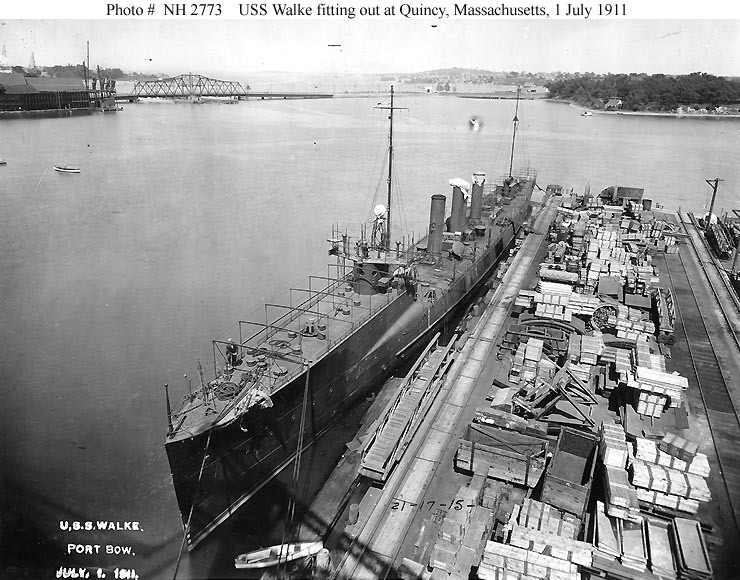 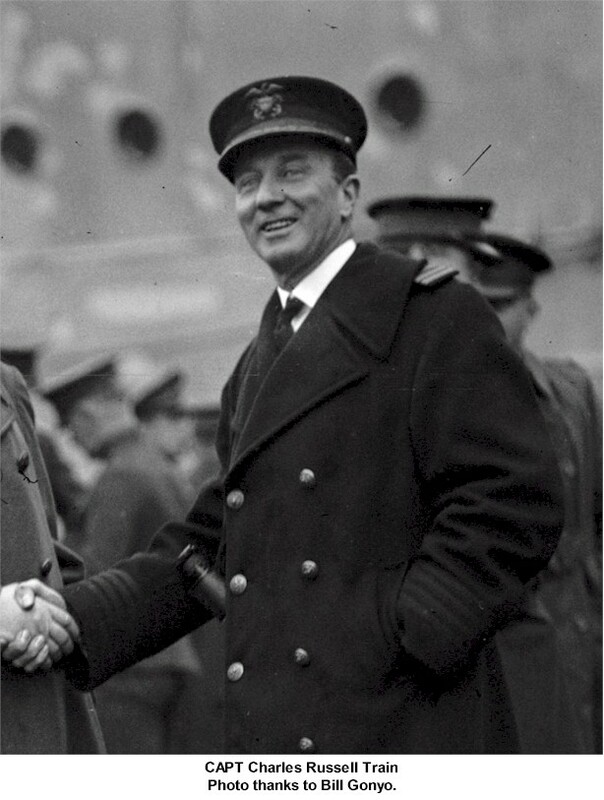 Launched November 3 1910 and commissioned July 22 1911. 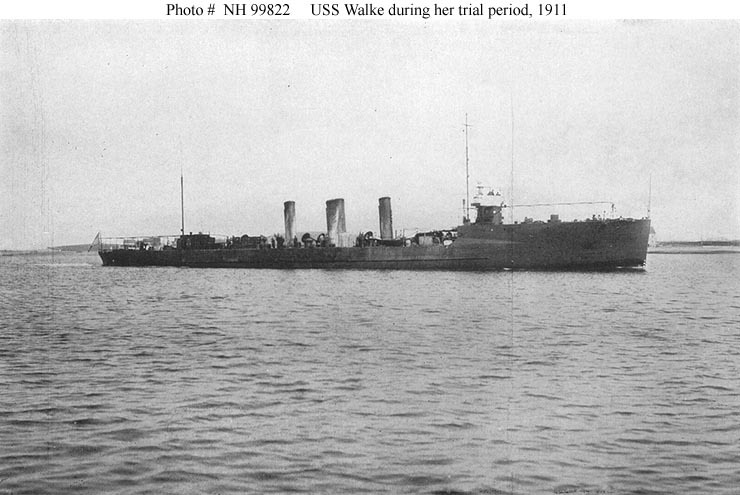 Walke lost her name to new construction July 1 1933. 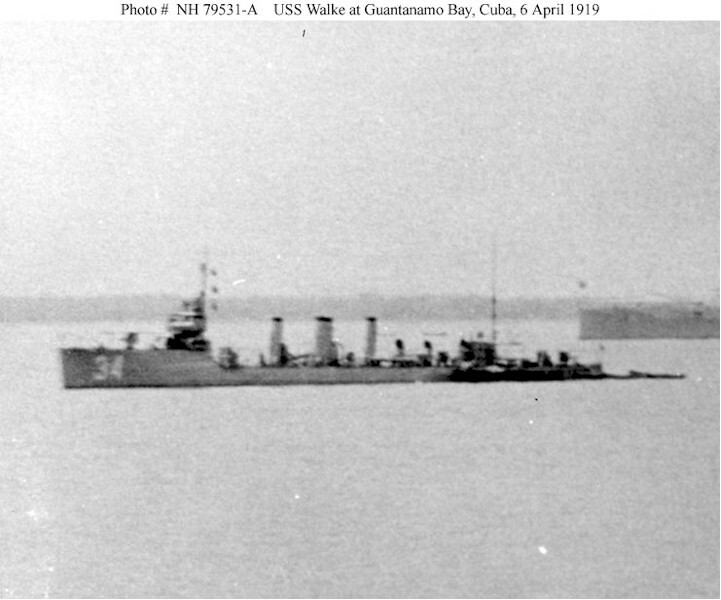 Fate Sold and scrapped in 1935. 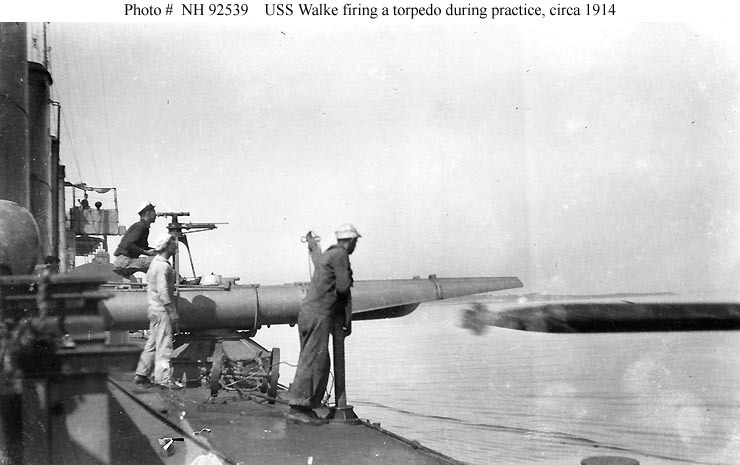 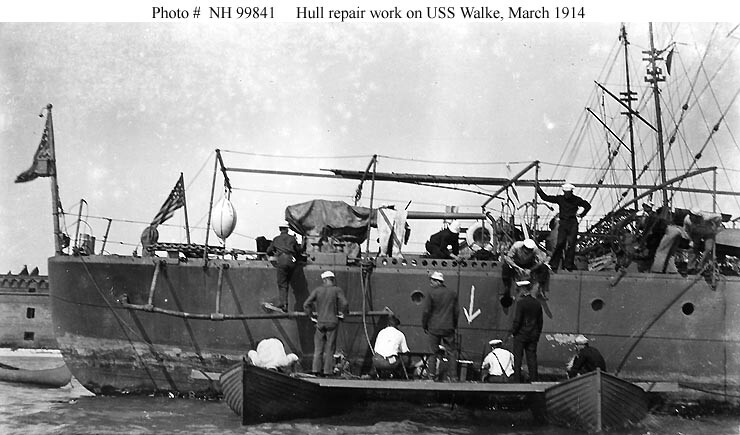 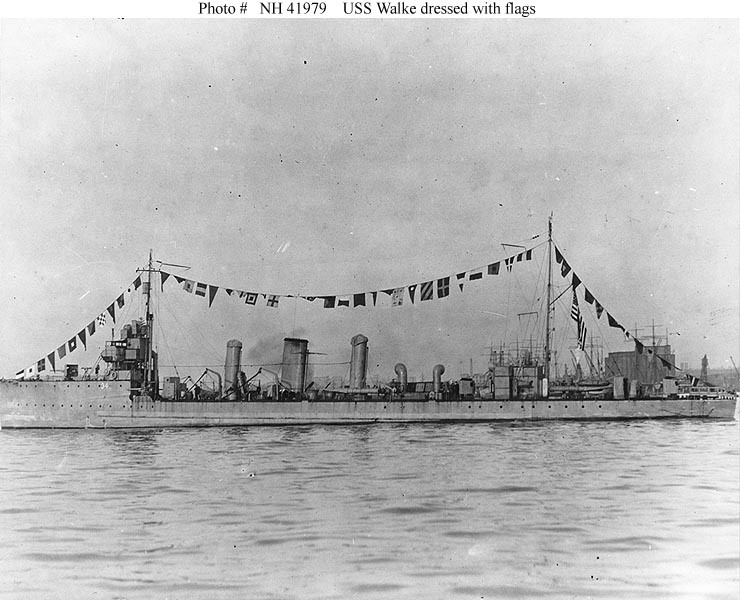 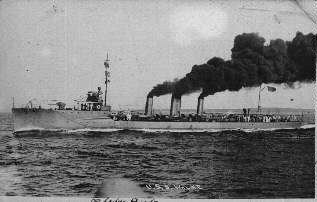 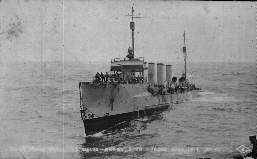 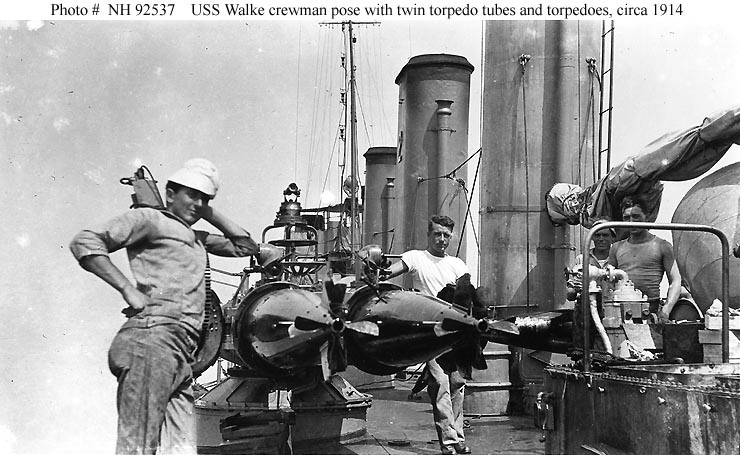 152k USS Walke (Destroyer # 34) Hoists aboard an 18-inch torpedo, circa 1914. 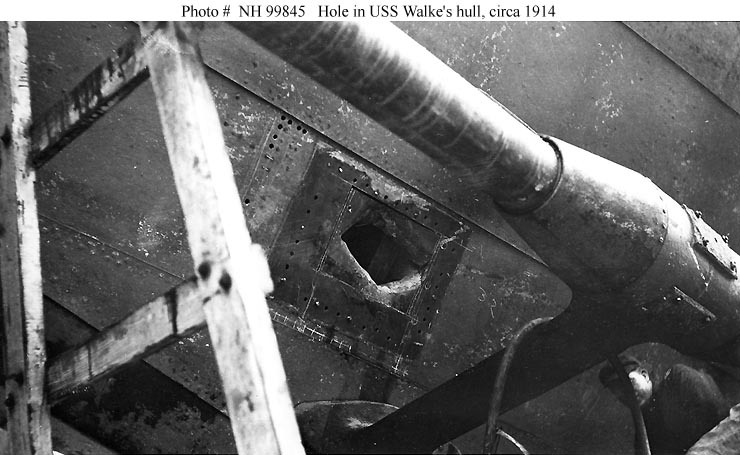 The ship's after (centerline) twin torpedo tubes are at left. 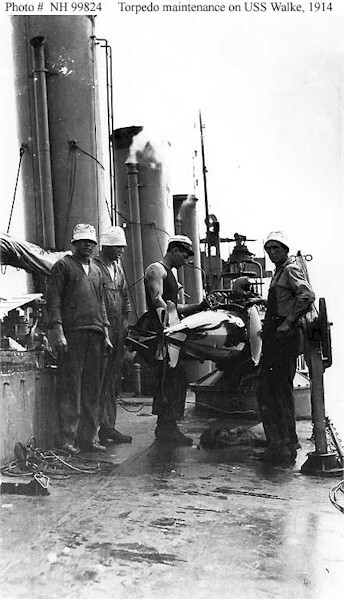 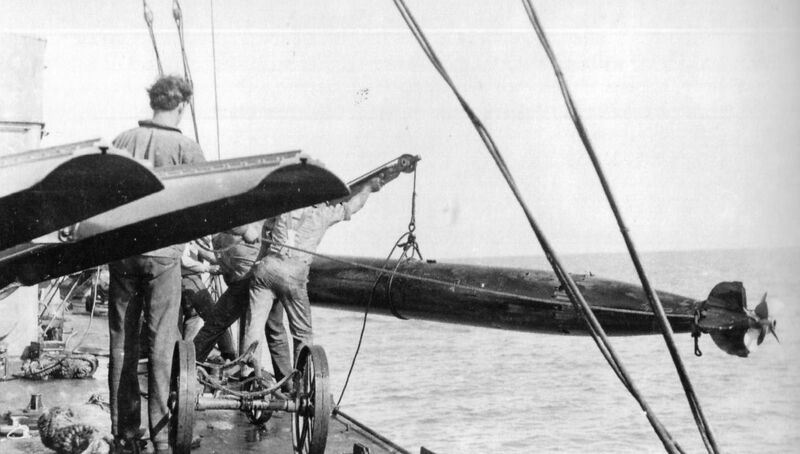 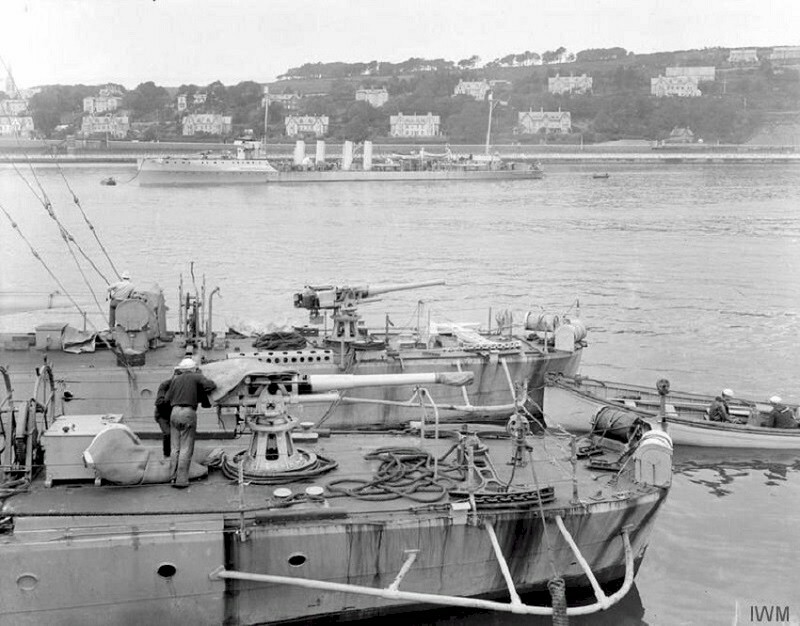 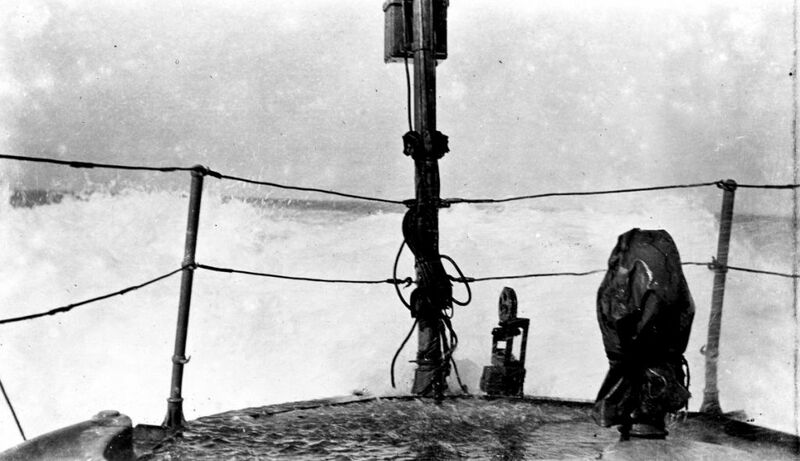 Note torpedo cart on deck, line running over pulley at the end of the torpedo davit, and the torpedo's contrarotating propellers.